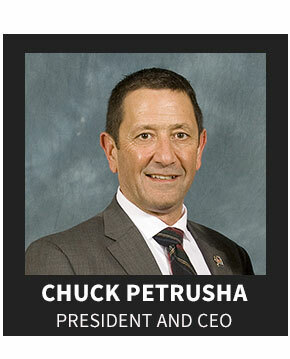 Chuck has been the President of Advanced Security Systems since 1995 with over 30 years of industry experience. His entrepreneurial spirit that has helped to make Advanced Security Systems one of Northern California's most respected providers of Security, Fire, and Medical Alert Systems. Chuck is a civic leader, serving as past President of Old Town Rotary Club of Eureka, past Vice President of the Humboldt Builders Exchange, current board member of the Humboldt State University Area Foundation, current regional board member of Umpqua Bank, board member of St. Bernard's Church, Salvation Army, and coach of various local children's sports teams. 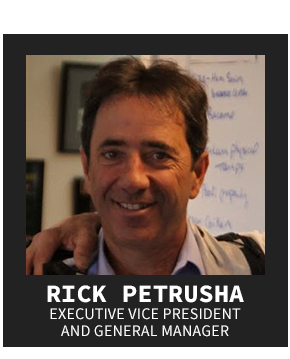 Rick is the Executive Vice President and General Manager of the Eureka Division with over 30 years of industry experience. Rick possesses invaluable technical and managerial skills. His role includes specifying products, training technical staff and coordinating select large-scale installations. He is an AutoCAD certified draftsperson for fire alarm design. Rick holds the distinction of Level II National Institute Certified Engineer Technology (NICET) Fire Protection Engineer. Additionally, he is a registered Fire/ Life Safety Technician with the Sate of California, and is a Certified Instructor for the National Burglar and Fire Alarm Association. As a community leader, Rick has served as Lieutenant Governor of Division 20 Kiwanis and past President of the Henderson Kiwanis of Eureka. He is currently on the Henderson Center Kiwanis Board of Director and a proud member of the Redwood Empire Golf and Country Club. 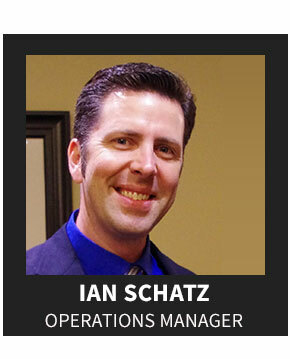 Ian is the Operations Manager for Advanced Security Systems. His role includes managing our 24-hour Monitoring Center, coordinating staff, upgrading software & hardware companywide and implementing standard operating procedures. He also oversees all projects and manages our administrative staff. Ian possesses more than 20 years of technical and customer service experience. Ian enjoys spending his free time with his family and serving our local and world communities through Rotary. 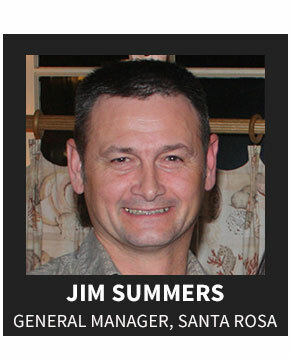 Jim is the General Manager for the Santa Rosa Division and has been in the alarm industry for over 17 years. He has been tenured with Advanced Security Systems for over 15 years, starting as a Wire Puller and now is the General Manager. As GM of Santa Rosa, he manages all customer installations from start to finish. Jim enjoys spending his time on the football field with his six sons or exploring the wine country. 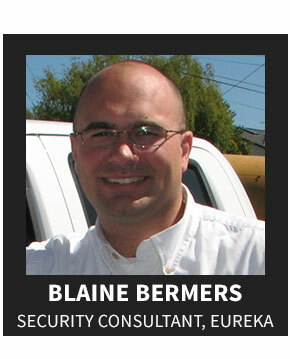 Blaine is a Security Consultant for the Eureka Division with over 10 years of industry experience. His strengths include the ability to listen and understand the customer's needs. This allows him to custom design the best possible solution based on his customer’s needs. Blaine specializes in residential alarms including the design a new or upgrading an existing system. Blaine dedicates much of his time in the local community, supporting the Special Olympics, as member of the TIPS club, BNI and always lending a helping hand when needed. John joins us as the General Manager of our Crescent City office after serving for eight years in the U.S. Coast Guard in Astoria and Brookings, Oregon. Before enlisting, John was an alarm technician in the Eureka office for seven years. 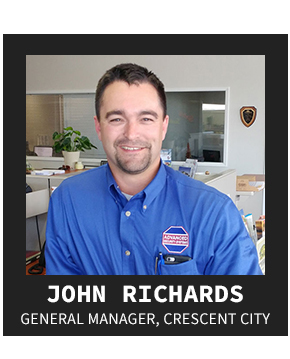 His background gives him the knowledge and experience to ensure our customers in Crescent City and Southern Oregon are well taken care of. When he’s not at the office, John loves spending time with his family, hunting, fishing, hiking, and attending his daughter’s t-ball and soccer games. 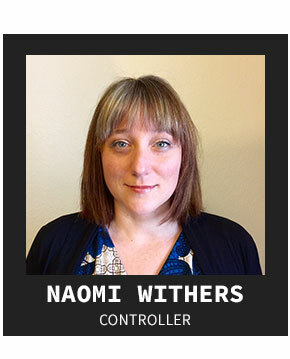 Naomi comes to Advanced Security with over nine years of accounting and office administration, and over 15 years of management experience. As the Controller for Advanced Security Systems, her role encompasses payroll, accounting, and human resources functions for the company. Her extensive background in financial management helps keeps everything running smoothly. After living in Humboldt County for almost 20 years, she feels deeply rooted in the community and loves the small town lifestyle and natural beauty that Humboldt County offers. 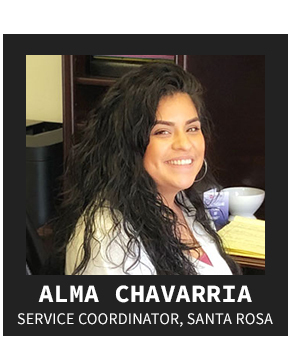 Alma is the Service Coordinator for the Santa Rosa Office of Advanced Security Systems. She happily greets customers and is responsible for scheduling service visits in Mendocino, Sonoma, Napa and Marin counties. She joins us with many years of experience in customer service and office management. In her free time, Alma enjoys spending time with her family and watching the Golden State Warriors. 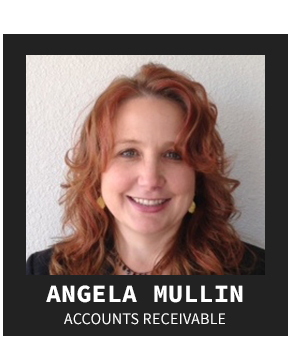 Angela is responsible for managing the Accounts Receivables for Advanced Security Systems. She is very well versed in many administrative positions within the office. She has several years experience with previously running her own small business. This experience and dedication helps to serve our customers well. Angela enjoys staying physically fit and spending time away from the office with her three children. Anders is a Programmer in the Advanced Security Systems Monitoring Center. He has worked in the alarm industry for 4 years, most recently as a dispatcher in our alarm monitoring center. He handles remote programming of alarm systems, fields technical support calls for both technicians and customers, and sets up Total Connect accounts. 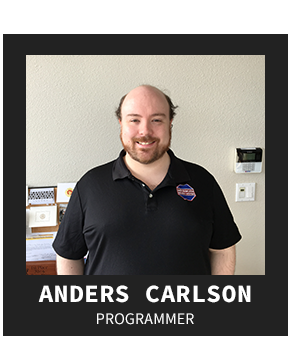 Outside of our office, Anders enjoys contributing to local theater productions as well as a wide array of classically nerdy hobbies like video games, science fiction, anime, and collectible card games. 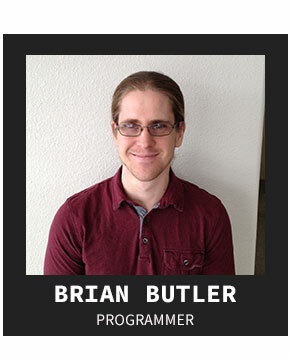 Brian is a Programmer in the Advanced Security System's Monitoring Center. Brian has worked in the alarm industry for three years, most recently as a dispatcher in our alarm monitoring center. 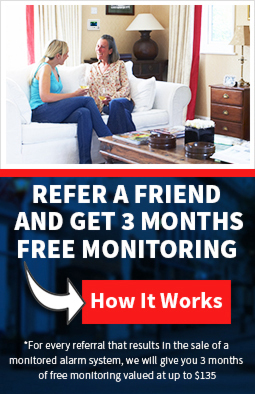 He handles all remote programming of alarm systems, fields technical support calls for both technicians and customers and sets up Total Connect accounts. Brian is passionate about educating customers on the operation of Total Connect, which allows you to control your alarm system remotely via your PC, smart phone or other mobile device. Outside of our office, Brian enjoys backpacking and contributing to local theater productions. Crystal is a Service Coordinator for Advanced Security Systems. She has worked as a service coordinator for the last seven years in the pest control industry. 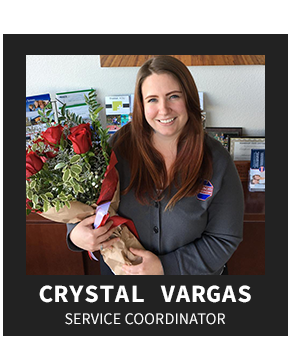 Crystal is responsible for scheduling service appointments, troubleshooting service requests that can be handled over the phone and ensuring all your technical needs are met. She enjoys spending time with her family, hiking, and trips to the river. David recently took over the position of lead technician thanks to his remarkable knowledge of burglar and fire alarm systems. “I’m always fixing something,” he says. 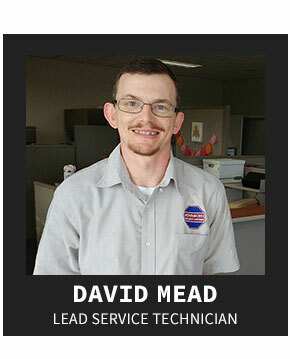 David has been with Advanced Security Systems for over two years and has seven years of industry experience. In his free time, he enjoys exploring the area with his family. David is originally from Colorado. 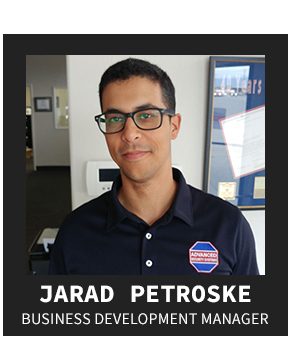 Jarad comes to Advanced Security Systems with 10 years’ experience in marketing, with a focus on content marketing and SEO. He’s responsible for the company’s marketing efforts, special projects, and customer retention efforts. In his spare time, he enjoys spending time with his family and reading. He’s deeply committed to lifelong learning and can often be found listening to a lecture series, or taking a professional development course. 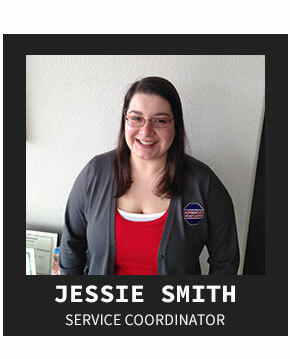 Jessie is a Service Coordinator for Advanced Security Systems. She worked the last three years as a dispatcher in our alarm monitoring center. Jessie is responsible for scheduling service appointments, troubleshooting service requests that can be handled over the phone and ensuring all your technical needs are met. Jessie enjoys reading, hiking and gardening. 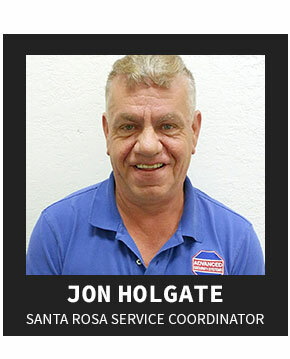 Jon is the Santa Rosa Service Coordinator for Advanced Security Systems. He has been with the company since 2016. Jon is responsible for scheduling service appointments, troubleshooting service requests that can be handled over the phone, and ensuring all your technical needs are met. In his free time, Jon enjoys spending time with his family. 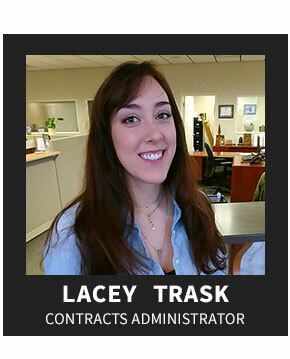 A Humboldt County native, Lacey oversees the digitization of all of Advanced Security Systems contracts, a major project to say the least. Originally from Kneeland, CA, Lacey enjoys photography, the outdoors, dogs, horses, and hunting in her spare time. She’s been with the company since summer 2017. 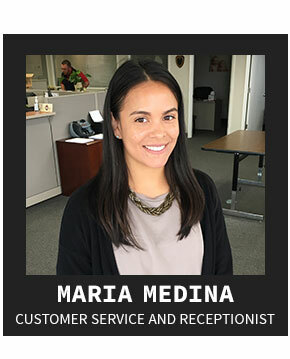 Maria has been welcoming customers to our Eureka headquarters since joining Advanced Security Systems in July, 2018. A former Marine, Maria was born in Miami and came to California as part of her deployment and never left! She’s studied communication in Sacramento and at Humboldt State University. In her free time Maria enjoys spending time with her boyfriend and taking her dog to the beach and the forest. 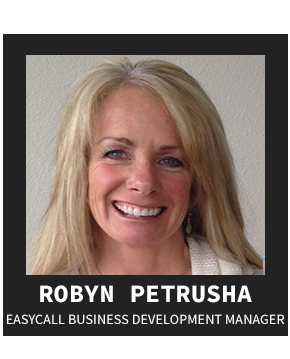 Robyn is the EasyCall Business Development manager. She spends most her time doing outreach and explaining the life saving benefits of our EasyCall solutions. Robyn also is the liaison for our referral partners such as hospitals, doctor offices, senior centers etc. She also educates people at health fairs and other community events. Robyn has been a certified fitness instructor at Cal Courts for the last 20 years. She is an avid runner and has completed the Boston Marathon. 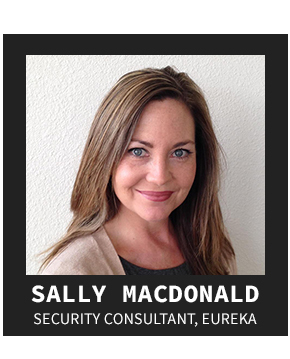 Sally is a Security Consultant for Advanced Security Systems with over twenty years experience in sales and project management. Her first six months were spent as a Business Development Manager. Quickly learning the business she became a Security Consultant. Sally is a University of Oregon graduate and a 6th generation Humboldt County resident with strong ties to community. She has served on many community events and boards including American Cancer Society, Cutten-Ridgewood PTA and Humboldt County Visitor and Convention Bureau. 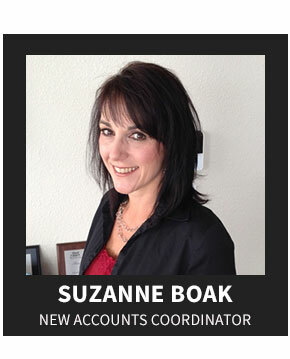 Suzanne works closely with our sales staff organizing and coordinating all new accounts so that new installations are timely and run smoothly. Suzanne’s years of experience, as the operations manager at another local business, made her the perfect candidate for the job. Suzanne was raised in Eureka and graduated from Eureka High School. A busy mother of two children, a daughter and son, Suzanne enjoys spending time with family and friends...especially at the lake during the summer. 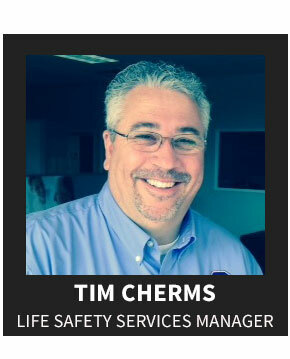 Tim is the Life Safety Services Manager for Advanced Security Systems. He has a vast knowledge in construction and experience in business management. Life Safety Solutions managed by Tim allow businesses to maintain and stay in compliance with the National Fire Protection Association standards and codes for their businesses and buildings. 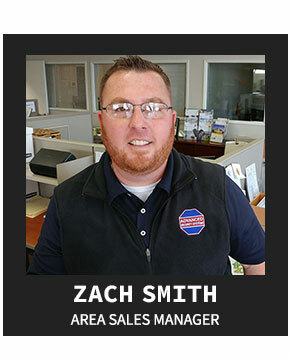 Zach comes to Advanced Security with six years of sales and technical experience, and is looking forward to serving new customers. As an Account Manager, it’s Zach’s role to ensure your needs are being met, your system is up to date, and any questions you have are answered. In his spare time, Zach spends time with his family, and coaches his kids’ sports teams. He’s also big supporter of local baseball. Zach played for the Humboldt Crabs in 2007 and 2008 and was assistant coach for the Eureka B52s for four years.